Cambridge University Press has a working relationship with the Cortech Developments Datalog integrated control room management suite which extends back well over a decade. Here the Press’s Security Manager Rob Marshall talks to Jason Barnes about the experience, and what the recent upgrade to Datalog 5 will bring to the party. 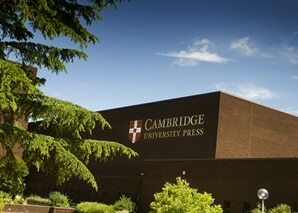 Cambridge University Press is both an academic and educational publisher. It has more than 50 offices all around the globe, employs nearly 2,000 people, and publishes over 40,000 titles by authors from over 100 countries. Its publishing includes professional books, textbooks, monographs, reference works, nearly 300 academic journals, bibles and prayer books, English language teaching publications, educational software, and electronic publishing. In Cambridge itself, the Press has a main, 35-acre site which is gated and two satellites, the Pitt Building conference centre in the city’s Trumpington Street and a bookshop in Trinity Street, which are linked via dedicated fibre lines. A security officer is on duty at the main site 24 hours a day. Rob Marshall, Security Manager, has been responsible for the Cambridge facilities since 1992. He operates what he describes as a very proactive security ethos, working on the principle that making the site as unattractive as possible to criminals, and effectively forcing them to look for opportunities elsewhere, is a priority. Today, good-quality fencing surrounds the Press’s main site, which has only one access point. The front gate features automated operation, including a swipe facility which allows authorised staff to pass in and out, and is monitored by a discreet ANPR camera. However, when Marshall took over responsibility for the site, security amounted to little more than a “box of keys”; there was no access control or CCTV and the Press’s commissionaires were effectively little more than doormen, he says. Given the large numbers of high-value items on-site, a review was necessary. A necessary first stage was to upgrade the lock system and then add access control, a process which was completed by 1995. Replacement of an extremely out-dated intruder access system was next. At the time Marshall was doing this, the largest available panels were 100-input models from Europlex; four were acquired and installed, and “pretty much all” of the capacity they provided was used fairly quickly. He alighted upon Cortech Development’s Datalog integrated control room management suite after researching several options and this was first installed in 1997. Datalog is a modular software suite that has been developed as a single or multi-user graphical user interface, providing local and remote site monitoring and control of building, fire and security systems. It integrates with a wide range of control equipment including those for access control, CCTV, DVRs, intercoms, fire, perimeter, intruder, staff safety, video display, cell call and radio paging, as well as other emerging technologies. The new Datalog 5 is written to operate on Windows 7 Professional, 7 Ultimate and Server 2008 R2, it also offers backwards compatibility for Windows XP Pro. Subsequent to the initial successes, the Press’s Morley fire panels were also connected to the Datalog system. CCTV working on co-axial links covers all entrance and reception areas. The Press has 64 cameras, eight of which are PTZ, and groups of 16 share DVRs which record live. The CCTV could be connected to the Datalog suite but is currently standalone pending budget to complete the link. Marshall is hopeful of this happening within the next financial year. Reflecting on his choice of Datalog, he says that he was drawn by a number of features: “I actually looked at several software packages but there were a number of up-front features which made Datalog stand out. It’s very user-friendly, which makes it very easy to train and become competent on; I’d say it’s possible to take someone who has no previous knowledge of Datalog to a point where he or she can start to use it in about 30 minutes. I think a user can be fully comfortable with operation inside about four weeks. “Datalog was also already being used in conjunction with a lot of Europlex panels, so there were a lot of reference sites. Staff from Harris and Sandford Security, Cortech’s recommended integration partner, were able to take me to several sites to show me the suite in a real-life environment. Cambridge University Press has in fact gone on to become a Beta testing site for Cortech. That has included being a Beta test site for the newly released Datalog 5, which the Press subsequently upgraded to in 2011. The new Datalog 5 user interface has been designed to be more dynamic and intuitive, while retaining the simplicity of operation of previous Datalog versions. Cortech has also enhanced the security of the software by strengthening all of system’s password rules. HALs (Highlighted Alarm Locators) have been a key feature of Datalog for many years now and provide a simple and effective method for highlighting an alarm and its precise location within a building or room. Datalog 5 has enhanced the way in which these HALs are presented and importantly how they affect the detail of building maps. This enables an operator to maximise the response times to all events and alarms. In particular, with sites and buildings that incorporate thousands of circuits, transparent HALs enable the operator to view the underlying map, which greatly simplifies operational procedures. New innovative graphical icons also provide a clearer representation of all control equipment across all buildings, whether local or remote. Cortech’s in-house graphical design team has played a key role in developing new techniques for assisting operators with the navigation around extensive and complex site maps. This process has been greatly enhanced and simplified with Datalog 5. Building maps and floorplans are now presented in an optional high-resolution 3D format. The level of detail inherent within these maps enables operators to pinpoint the locations of all buildings, rooms and control systems with great ease. Datalog 5 incorporates a host of additional map and graphical features which will benefit the operator. These include automatic map resizing, greater levels of magnification, enhanced navigation between maps and additional zooms, which are particularly useful when remotely monitoring and controlling multiple sites. Finally, information is critical in managing an efficient and effective control room and a key component of Datalog 5 is the process for obtaining quick and simplified reports. Datalog 5 logs all system actions, which is a powerful tool in determining the sequence of events should any historical analysis be required. The greatly improved reports include alarm, event and operator information and provide a comprehensive audit trail. Features include the choice of report events, quick reports for circuits and cameras, text search, reports across day boundaries and more. Reports include alarm event analysis which can be either manually or automatically generated. Alarm analysis will search, correlate and collate information to produce quick view graphs to identify trends and patterns. The 3D plan feature of Datalog 5 allows icon placement to be much clearer and simpler, says Marshall. At present, the Datalog system is controlling a total of five Europlex panels. Until fairly recently, the Press was printing examination papers on site – an X-rated security activity which warranted its own panel. It has since stopped doing this, however, so there is currently spare capacity. Marshall uses two levels of access, one each for management and security staff. The former allows access to engineering functions, such as changing passwords, previewing or generating reports, or changing users’ rights. From the initial installation to what the Press enjoys now represents a significant investment, especially when one includes the CCTV set-up. Looking forward, a pressing issue is that the Press’s current Europlex alarm panels are no longer supported by their manufacturer. “That leaves us facing an upgrade issue,” Marshall explains. “The solution is to move to new Galaxy panels and that represents a huge investment for us; we’ve had quotations in already and if possible we’d really like to start the work on this within the next year. “We already use Galaxy panels in the Pitt Building and the University bookshop. Not only are they very stable and user-friendly; they’re also already fully supported by Cortech and hence Datalog-compatible. “We’ve looked at this with Cortech and with Harris and Sandford Security and I’m confident that the changeover can be a smooth one. As Cortech already has protocols written to deal with Galaxy panels, I can also see it being very swift. We can do a panel at a time and I can see the whole job being completed inside a couple of months. Marshall is, he says, very pleased with the whole Cortech/Datalog experience. “The Cortech team are very professional and friendly. They all share the same mentality: very calm and very good at problem-solving; sometimes all it takes is some very minor tweaks.